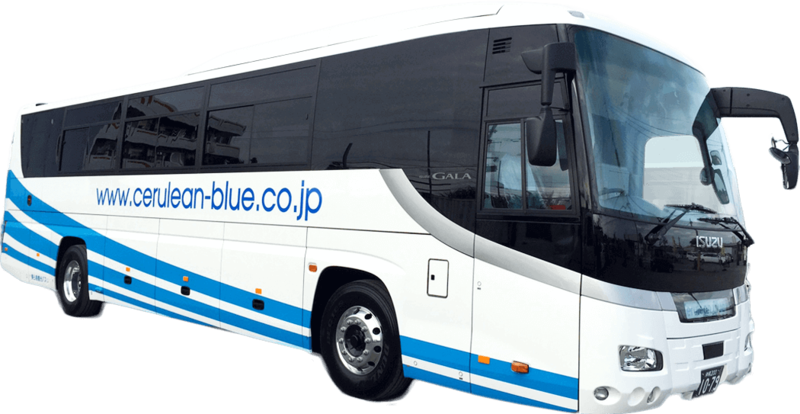 Okinawa one-day sightseeing bus tour │ Looking around all famouse sightseeing spot in one day. 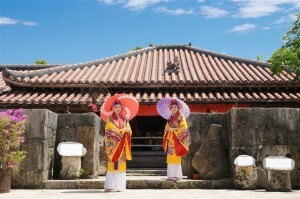 We will guide you the popular spot of Okinawa in one day! 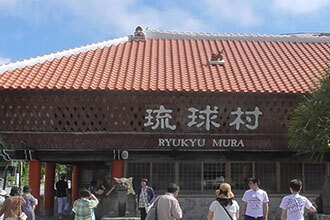 The enternce fee of Churaumi aquarium and Ryukyu Village is included in the tour price, so it's very reasonable. There will be perfomance by Okinawa guide. It can be Okianwa traditionla dance or traditional song. * Performance is vary depands on guide. 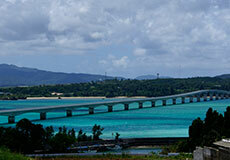 Kouri Island is part of Nakijin Village, just north of Nago City. 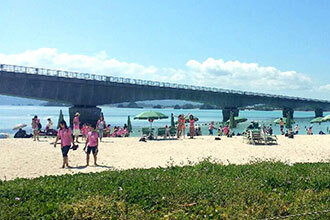 A visitor has to cross two bridges to get to the island. 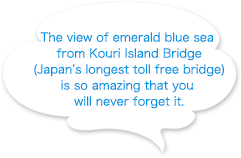 The first connects Okinawa main island with Yagaji Island, and the second, the longest toll free bridge in Japan, connects Yagaji and Kouri Islands. Also there is a beautiful beach where you can enjoy great view. Now is also the best season for delicious sea urchins that Kouri is famous for. It was largest aquarium in the world until it was surpassed by Georgia Aquarium in 2005. ※The price does not include lunch. Please have a lunch during the 150 minutes of free time at Churaumi Aquarium. 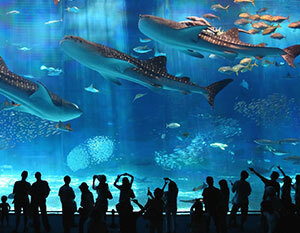 The world's largest fish tank, which is know as "The Kuroshio Sea"
The main tank, called the Kuroshio Sea, is 35 metres long, 27 metres wide and 10 metres deep. 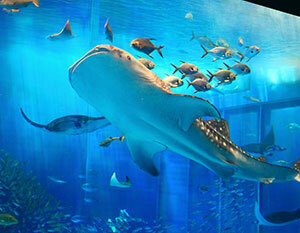 Whale sharks and manta rays are kept alongside many other fish species in the main tank. The first manta ray birth at the aquarium was in 2007. The aquarium holds 80 species of coral. 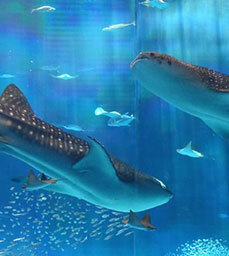 It is one of only a few aquariums that keeps whale sharks in capivitym, and is currently trying to breed them. 8.6 meter long whale shark. Up until now, captive reproduction of whale sharks has been fraught with difficulties. 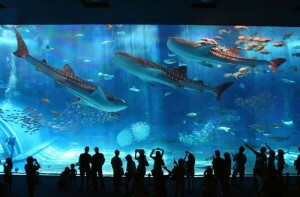 However, at Okinawa Churaumi Aquarium, multiple captivity will be undertaken in the world class aquarium tank, aimed at captive reproduction of the whale shark species. 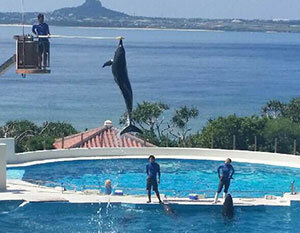 The dynamic and lovely dolphins perform with a breath-taking backdrop of the blue sea. You will see and learn about their power and abilities of dolphins. 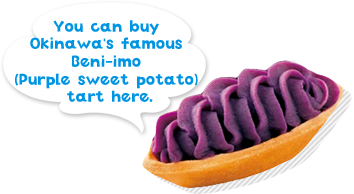 Okashi Goten is a delight place to get yourself treats, specialized in Beni-imo sweet potato with its own distinct flavor and strength. 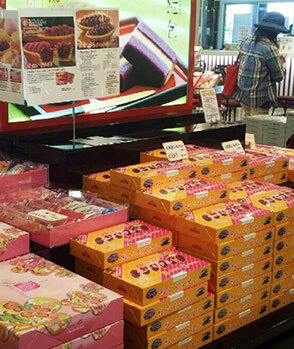 Own tart factory is in the shop and you get to see how it`s made through the window! 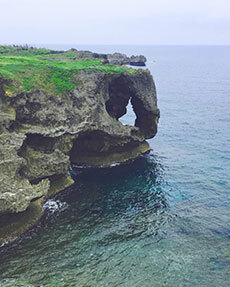 Cape Manzamo is a scenic rock formation on Okinawa Island, Japan. 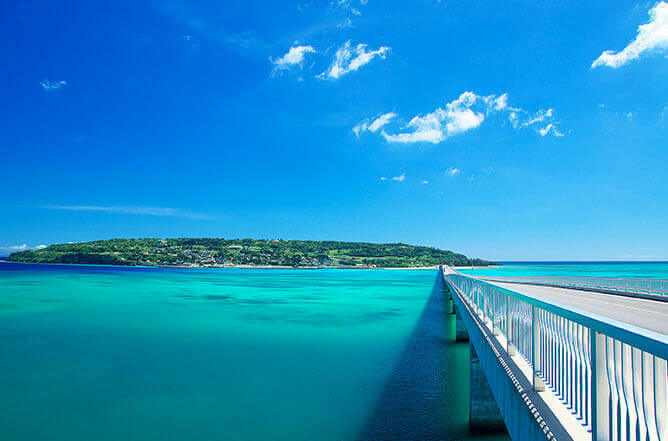 It is located near Onna Village, in the Kunigami District of Okinawa Prefecture. 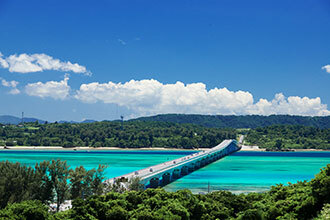 Cape Manzamo is one of the most popular places among both Japanese and international travelers who visit Okinawa Island. When visiting Cape Manzamo, 18th Century Ryukyuan king Sho Kei is said to have noted that the top of the cliff was big enough for 10,000 people to sit. Due to its location, Cape Manzamo is facing the open East China Sea to the West. 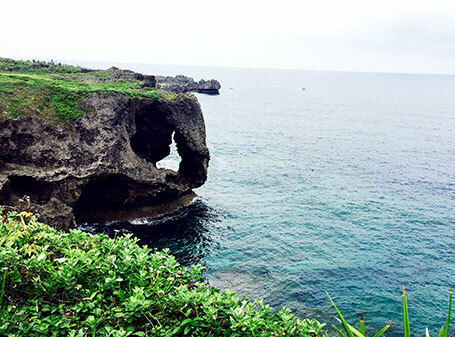 This makes it a very popular spot on Okinawa for viewing the sunset, and for taking photos of the cliff from its side facing Onna Village. 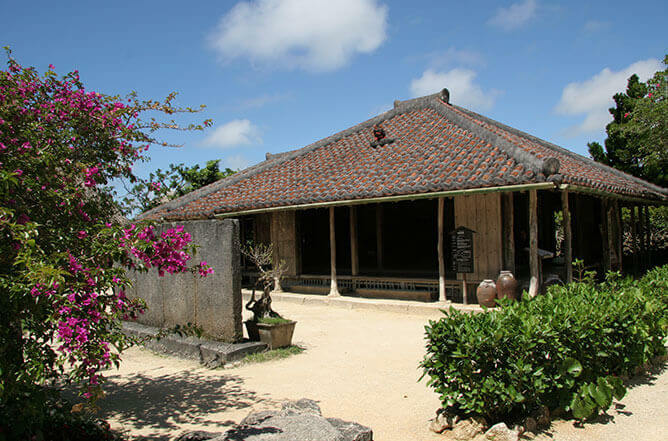 Ryukyu village contains ten traditional houses from different parts of Okinawa. Each was disassembled for transportation and reassembled at the park. 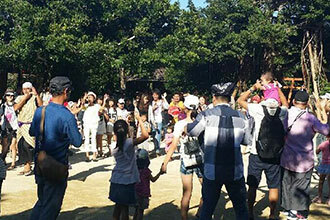 The park staff all dress in traditional Ryukyuan attire and carry out the daily work of weaving cloth, grinding sugar cane, and Eisa dance. 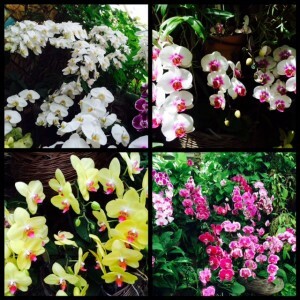 Transportation, Admission fees, Japanese tour guide, Insurance and Tax. ※ The price does not include lunch. Please have a lunch during the 150 minutes of free time at Churaumi Aquarium. ※This price is online reservation only. If you reserve by telepohone, you have to pay normal price. 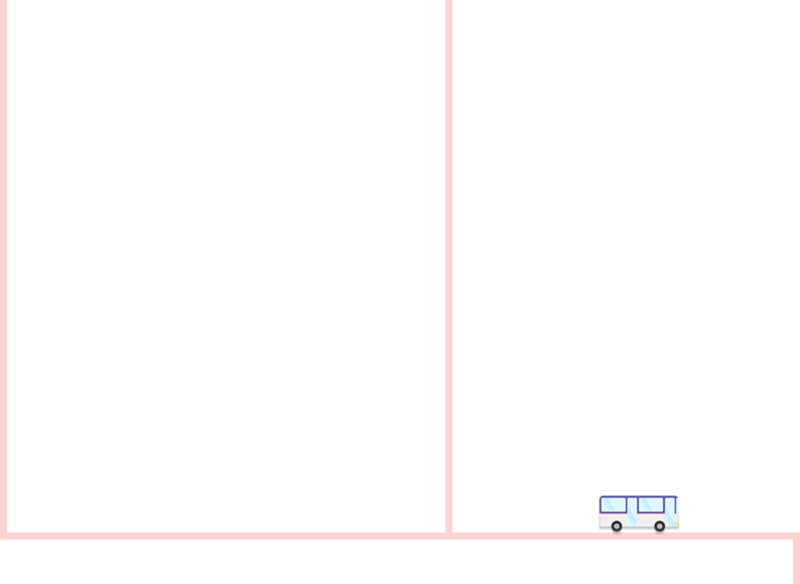 ※If the bus is full, you may seat with somebody. ※The order of the tour destinations could be changed due to traffic conditions on the day. ※No smoking at every seats of this bus. ※We are not responsible if you are late for a scheduled freiht after this tour is completed, due to traffic jams or other delays, which may occur.If you are catching a flight after the tour, please plan accordingly and give yourself at least two hours time before the check in time. ※If the tour was canceled due to the bad weather, we will full-refund you. If there is any bank charge for it, it will be charged to you. ※Before you make a reservation, please read the travel conditions statement. please read the travel conditions statement. 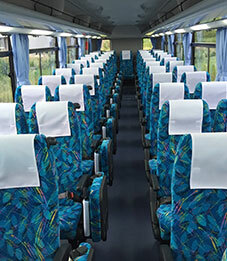 From passengers who joined our bus tour, we received a lot of reviews. We'll introduce part of that. 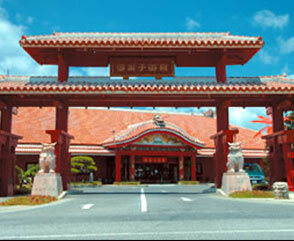 We also have lots of differect kind of tour in Okinawa. If you have any questions, feel free to contact to us! 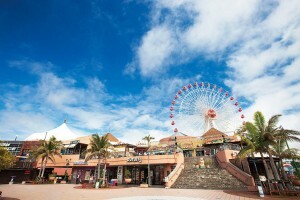 We are here to help you enjoy Okinawa.